USA: Byrd Stadium renaming soon? University of Maryland football legend and former president Harry Clifton Byrd is a controversial figure. His racist views will most likely lead to his name being removed from Byrd Stadium. 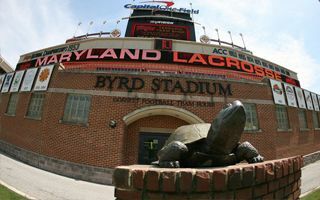 University of Maryland president Wallace D. Loh on Monday announced in a letter to the campus community his recommendation that the Board of Regents change the name of the College Park football stadium to Maryland Stadium. "This is a difficult and emotion-laden issue," Loh said. "Any outcome will likely please few." A former football player, Harry C. "Curley" Byrd, taught English and history and held the position of athletic director before serving as school president from 1935 until 1954. While Loh acknowledged the university should and will memorialize Byrd in one of the school's main libraries, he pointed out that the former president held racist and segregationist views. Loh’s decision to pursue the change isn’t unexpected. It follows a long campaign to remove Harry Clifton Byrd from the stadium’s name, because just a generation ago students of other races weren’t welcome at the university Byrd helped to create.